Chabad is a place where everyone is welcome! Chabad of Augusta was founded on the basic principal that a Jew is a Jew is a Jew. Simply put, we do not recognize the labels of Orthodox, Conservative, or Reform Judaism. As we are the children of one G-d, who study from one Torah, we are in fact one People, and as such we welcome all Jews looking to share and celebrate in our common heritage. With a wide selection of programs for every family and individual the Chabad Center is a vibrant and exciting place to be. It’s a place where you can follow any of the many paths of your Jewish heritage -- its the place where Judaism comes alive! Chabad of Augusta was established by Rabbi Zalman & Chani Fischer with the idea of providing a rich traditional Jewish home that could be enjoyed by everyone in the community. Rabbi Zalman Fischer received semicha (rabbinic ordination) from the Central Lubavitch Yeshiva Tomchei Temimim in Brooklyn, NY. Among his outreach experience, he also traveled to Tashkent, Uzbekistan and Moscow, Russia to help revitalize the spiritually impoverished Jewish communities recovering from communist oppression. Rebitzin Chani Fischer, a native of Brooklyn NY, is perhaps one of the most active local Jewish role models for young women wanting to share in the joys of traditional Judaism. She teaches children in our community and takes a leading role in many of our ongoing programs. The word "Chabad" is a Hebrew acronym for the three intellectual faculties of: chochmah-wisdom, binah-comprehension and da'at-knowledge. The movement's system of Jewish religious philosophy, the deepest dimension of G-d's Torah, teaches understanding and recognition of the Creator, the role and purpose of Creation, and the importance and unique mission of each Creature. This philosophy guides a person to refine and govern his and her every act and feeling through wisdom, comprehension and knowledge.The word "Lubavitch" is the name of the town in White Russia where the movement was based for more than a century. Appropriately, the word Lubavitch in Russian means the "city of brotherly love." The name Lubavitch conveys the essence of the responsibility and love engendered by the Chabad philosophy toward every single Jew. Following its inception 250 years ago, the Chabad-Lubavitch movement -- a branch of Hasidism -- swept through Russia and spread in surrounding countries as well. It provided scholars with answers that eluded them and simple farmers with a love that had been denied of them. 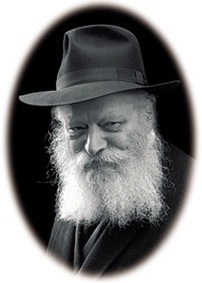 Eventually the philosophy of Chabad-Lubavitch and its adherents reached almost every corner of the world and today affect almost every facet of Jewish life. Imagine a community where people come to experience Judaism together, to connect with each other, to study together, to pray together, and to support one another. Imagine a community that offers love and warmth, that fosters a sense of belonging, and that has a sense of shared history and common destiny. Click here to read more about our plans for the future.